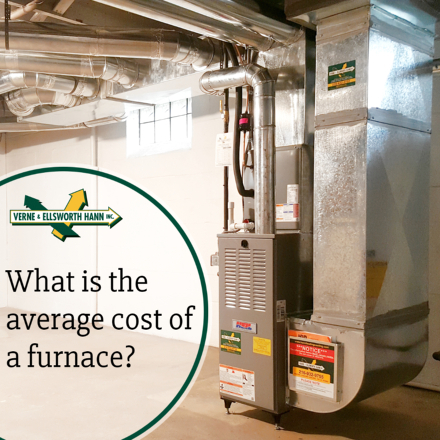 What is the average cost of a furnace? Like all frequently used equipment, especially in Northeast Ohio, sooner or later it will bet time to replace your furnace. If your furnace is becoming less energy efficient or is needing more frequent repairs, it may be time for you to replace it. It may be time to call Verne & Ellsworth Hann. The average cost to replace a furnace is around $3,500. There are several factors that are figured into the cost including: the size of the house, the efficiency of the furnace, ductwork, and the complexity of the job. If you decide to add or replace air-conditioning along with a new furnace, the average cost is $7,000. Again, there are several things to factor in when quoting a furnace and/or air-conditioning install. The certified experts at Verne & Ellsworth Hann have offered excellent furnace installation services throughout Northeast Ohio for over 63 years and can help you select a new furnace and professionally install it. Verne & Ellsworth Hann, located in Cleveland Heights, is a 5-generation company that is owned and operated by Bill and Chris Hann. Verne & Ellsworth Hann is the ONLY Hann family heating, cooling and plumbing company in Cleveland. 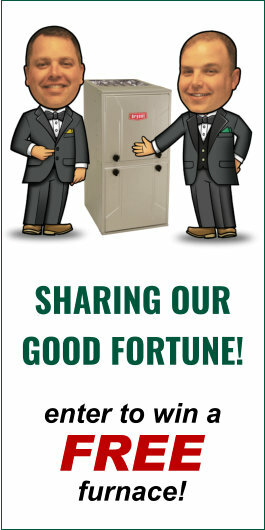 Give us a call today at 216-932-9755 for a free, in-home estimate.